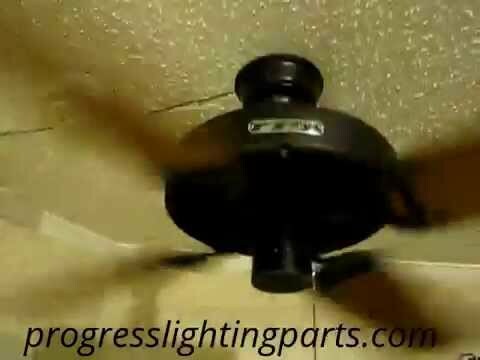 Progress Lighting AirPro Utilitarian/commodity ceiling fan has five silver/natural cherry finished blades that effectively circulate air in large spaces. 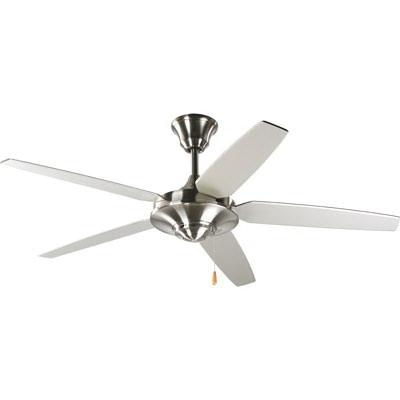 Fan has brushed nickel finish housing for corrosion resistance. Blade has pitch of 12-degree. This 3-speed pull chain fan has flow rate of 6210 CFM at high-speed. Fan has 153 mm Dia x 18 mm high motor for efficient performance. It is suitable for indoor use. Fan has power rating of 66-Watts at high-speed. It is ceiling downrod mountable. It includes 80-Inch lead wires. Fan is UL/cUL listed and Energy rated.